Let the sun shine bright with hot Sunglasses! Well we at shopping.rediff.com tend to agree with Mr. Nicholson's idea and believe that a modern man's wardrobe is incomplete without a pair of sunglasses. And to guide you to find that amazing pair of sunglasses amidst mind-boggling options, we bring you a rundown on what's hot and what's not. What's hot! Action packed Aviators: Tom Cruise's Top Gun look is back with a bang bringing Aviators into the mainstream again. You can wear them with almost anything. Be it a graphic tee on top of a rugged jeans or an impeccably tailored suit. From brands like Ray-Ban and Reebok you can choose anything as per budget. 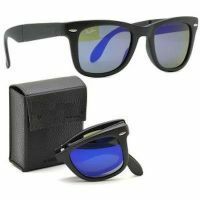 Have your way with Wayfarers: Pros at shopping.rediff.com believe that Wayfarer is a foolproof way of making an outfit shine with minimal effort. They are 'Mr. Reliable' of the lot and never cease to disappoint. With angular eye frame and arms that have a snug fit over the ears, Wayfarers add the right amount of casualness and style. Wrap it in style with Wraparound Sunglasses: Built to enjoy adventurous activities and yet look smart are the wraparound sunnies. 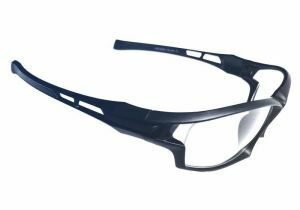 These generally lightweight frames have been designed to survive any outdoor activities. Be it trekking, mountaineering or just a drive on your Harley, these glasses are built to last. Fastrack, Tommy Hilfiger and Beverly Hills.What's not! Double-bridged sunglasses are a thing of the past. Move onto cooler shapes.John Lenin shaped glasses have been replaced by vintage shades. So avoid wearing round shaped glares this season to avoid any faux pas.Thus, shopping.rediff.com brings you different sunglasses that will grab instant attention. We offer these sunglasses at killer prices with mind-boggling discounts. Plus most of them come without any extra shipping cost.